Winning artist Kathryn Swenson wanted to create a cosmopolitan look at urban canine diversity when she created “Vibrant City Stroll” for the 2017 New York Academy of Art contest. The winning artwork, a watercolor and graphite depicting multiple breeds out for a leashed walk, will represent the 141st Annual Westminster Kennel Club Dog Show in a commemorative poster. 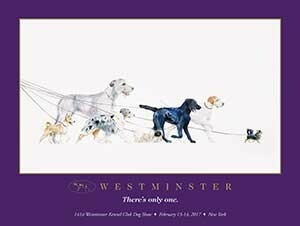 Each year The Westminster Kennel Club (WKC) partners with the Academy for the art contest to create a poster and notecards for charity. The AKC Humane Fund has been selected as the 2017 charity recipient. The selected charity will receive at least $10,000 in a check presentation at Madison Square Garden and will also receive the original artwork from the New York Academy of Art contest. The winning artwork was inspired by the diversity of city life, according to Swenson, who visited dog parks and watched people walking a variety of breeds from all over the world. Born in Lowell, MA, Swenson, a mother of three, learned her love of art from her mother, a grade-school art teacher. She later studied art history and painting at the Massachusetts College of Art & Design. She then went on to earn her MFA in 2008 from the New York Academy of Art. She currently resides in Nashua, NH where she works as an adjunct professor at the New Hampshire Institute of Art. Her current focus is on drawing, watercolors, and portraiture. Visit her at Facebook.com/Swensonart/. The AKC Humane Fund is committed to supporting the health and happiness of dogs across the country by protecting pets, supporting pet-related organizations and celebrating the human-animal bond. 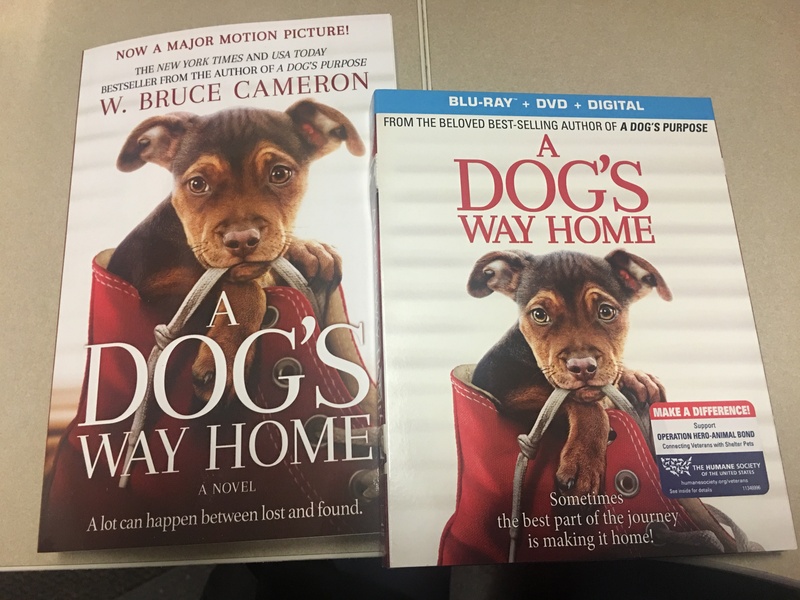 The AKC Humane Fund works to give back to dogs on a broad and sustainable scale through education, grant making and outreach promoting responsible pet ownership. The AKC Humane Fund is proud to be the leading organization providing financial assistance to domestic abuse shelters that accept pets. These grants make it easier for women’s shelters to welcome pets and help break the cycle of domestic abuse. The Fund is also dedicated to assisting rescue by providing financial assistance to not-for-profit canine rescue groups that are taking on significant, rescue-related expenses. Grants are used to help cover the costs of veterinary care, spaying and neutering and vital supplies. Visit www.akchumanefund.org to learn more, donate or apply for a grant.